Catch the sun’s rays with colorful butterflies! 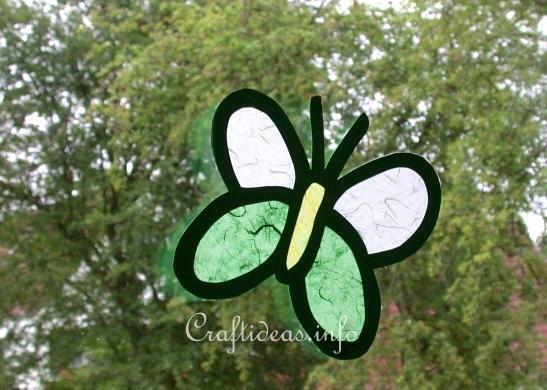 This is a fun paper craft project for children and a beautiful way to decorate the windows in the summer. 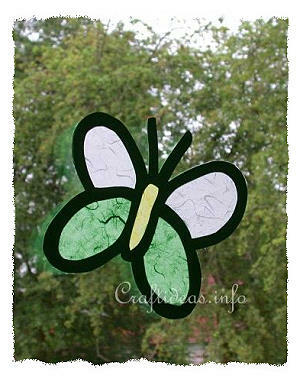 By changing the colors or types of the papers used and by changing the size of the butterflies, kids can create a whole window full of these. This makes a great group project. These butterflies have a delicate look to them. 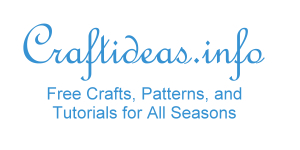 Another alternative would to be to craft many smaller butterflies and then creating a mobile using them. It would almost seem like real dainty butterflies flying. 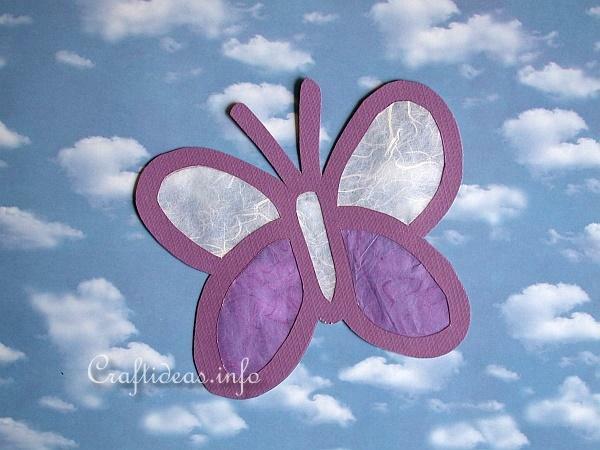 Click on this link how to make paper butterflies to find out how to craft this project. This project is recommended for children ages 10 and older (caution is required using the craft knife) If younger children wish to make these, parents or teachers can help out by cutting the inside spaces or letting the children cut the spaces out with scissors.